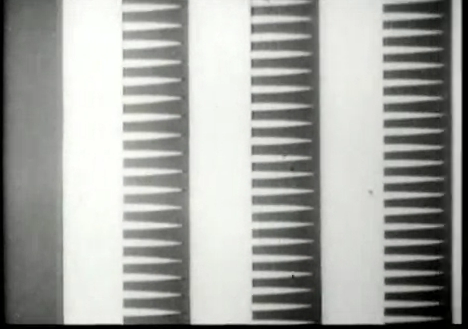 Some excellent resources now available in relation to the early 20th Century Drawn Sound experiments that took place in Russia. This recent news comes from some very timely facebook posts by the Center for Visual Music. 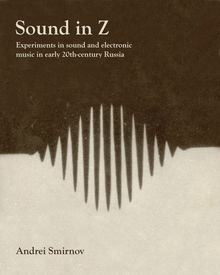 Andrei Smirnov's book 'Sound in Z: Experiments in Sound and Electronic Music in Early 20th-century Russia is just recently published and is available in Europe to purchase. 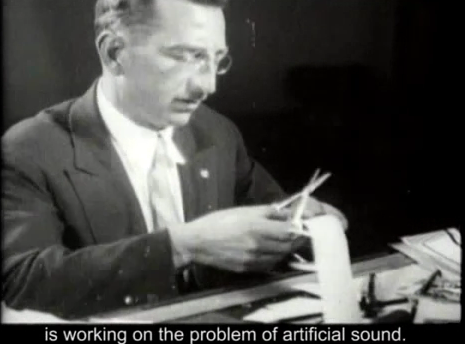 Andrei presented an incredible paper at the recent 'Seeing Sound Symposium', 2011, held in Bath Spa of which I attended and saw and heard the incredible work and experiments presented in relation to this period. Edited by David Rogerson, Matt Price. Foreword by Jeremy Deller. Text by Andrei Smirnov. Sound in Z supplies the astounding and long-lost chapter in the early story of electronic music: the Soviet experiment, a chapter that runs from 1917 to the late 1930s. Its heroes are Arseny Avraamov, inventor of Graphic Sound (drawing directly onto magnetic tape) and a 48-note scale; Alexei Gastev, who coined the term �bio-mechanics�; Leon Theremin, inventor of the world's first electronic instrument, the Theremin; and others whose dreams for electronic sound were cut short by Stalin's regime. Drawing on materials from numerous Moscow archives, this book reconstructs Avraamov's �Symphony of Sirens,� an open-air performance for factory whistles, foghorns and artillery fire first staged in 1922, explores Graphic Sound and recounts Theremin's extraordinary career�compiling the first full account of Russian electronic music." Watch a documentary now on youtube of Nikolai Voinov's 'paper sound' from the 1930s Russian Drawn Sound Era. 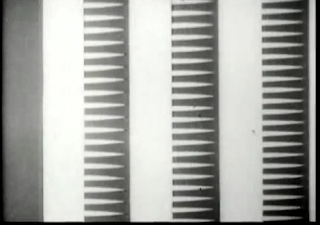 "The Dance of the Crow", 1933 (2:11)"